Despite the continued focus on security and cyber-risk, most organisations demonstrate poor alignment between the business and security in the consideration of risk. This disconnect can start right at the beginning of a business process, where security is often not involved early enough (or at all) in strategic projects. 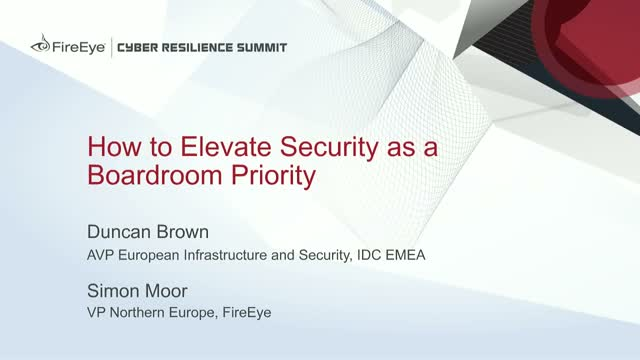 Boardroom visibility of security threats is often weak, while the nature of security threats means that a continuous reassessment of risk is required, but rarely occurs. This webinar explores the gap between security and business risk, and examines the opportunities for alignment in Digital Trust, as a prerequisite for digital transformation.